Laughing Waters, Vacation Rentals, East End. You can fall in love at first sight with a place as well as a person - Laughing Waters, Grand Cayman is that place. Laughing Waters in the Cayman Islands is an elegant and airy beach house, which is poised to take advantage of the refreshing sea breezes, a beautiful view of your private pool, a sparkling ocean and frothy reef. A perfect spot for those who yearn for the ultimate in peace and quite and some breathtaking snorkeling or diving from your private pebbly beach. USD$400.00 daily rates (not incl. 13% govt tax), offer lasts though November 2016. 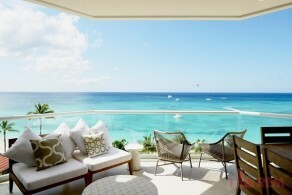 Visit our website at www.caymansluxuryretreats.com for information on availability and specials.